Every now and then a project comes around that makes you really sit up and take notice. This work by Nine Stockholm for Grönstedts cognac is one of those! What’s especially interesting about this cognac, Le National, though, is that it is only produced once a year in very limited quantities – never more than 1500 bottles. This creates an interesting design challenge, as every year they need to create an entire experience that is differentiated from the last, while still being premium, desirable and ultimately collectable. It is clear that Nine, the agency behind this work, met the brief and more – this is some of the most exquisite packaging design we’ve seen in a long time. From the way that illustration is treated through to the box, the typography and the entire experience of the packaging – this is nothing short of world class. Have a look at more of this work below. This entry was posted in Design, Illustration and tagged Design, Grönstedts Le National, Illustration, Liquor, Nine Stockholm, Packaging on March 30, 2018 by stellenboschacademy. We love seeing our students being recognised for their work and Morgan Mulholland, who has been named as a finalist in the Sony World Photography Awards (more about that here), was recently interviewed on Beautiful News. This entry was posted in Academy Work and tagged Beautiful News, Morgan Mulholland, photography, sony world photography awards on March 29, 2018 by stellenboschacademy. Niika is a digital design and branding studio from Australia with a website that shows off their talents to great effect! From great web design through to 3D objects and some really fun scrolling techniques – this site has it all. It’s always so much fun watching people at the peak of their powers flex their creative muscles and this site really is no exception. Take a look at the site right over here. 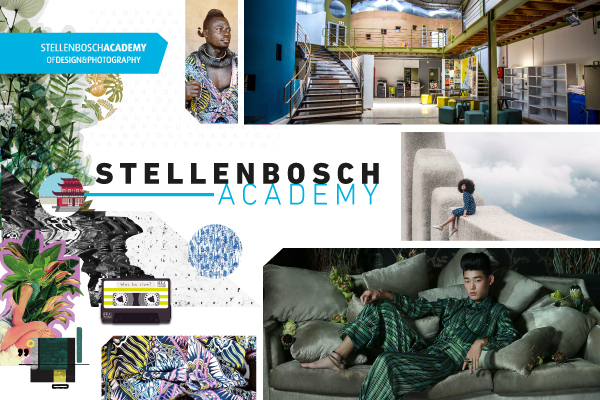 This entry was posted in Multimedia and tagged Multimedia, Multimedia Design, Niika, Scrolling, Website on March 28, 2018 by stellenboschacademy. Sam Gregg is a photographer based in London with a keen eye for capturing incredibly real, expressive portraits. Today, we’re sharing a selection from his series, ‘See Naples and Die’, where he spent time documenting the real people of the city. From nuns to tattooed guys who look like people you shouldn’t mess with, Gregg captures it all. You can visit his site here to see more of his inspiring work. This entry was posted in Photography and tagged Naples, photography, Portraits, Sam Gregg on March 26, 2018 by stellenboschacademy. To celebrate the year of the dog in China, Pepsi created these limited edition cans which were available in very short supply. The online-only method of getting them created a lot of hype around the campaign, with loads of people logging on for a chance to get their paws on these collectables. We especially love the dog kennel packaging concept! Such a great example of how tactical use of limited edition design (with really great illustration) can make a brand more current and desirable. Check out all the designs below! This entry was posted in Design, Illustration and tagged Design, Illustration, Pepsi, Year of the Dog on March 23, 2018 by stellenboschacademy. One of our recent graduates, Morgan Mulholland, was named as a finalist in the Sony World Photography Awards (learn more about his submission here). We created the following short video, to highlight his achievement and to offer some inspiration to other budding young photographers out there! You can see more of Morgan’s work at his website here. This entry was posted in Academy Work, Photography and tagged Morgan Mulholland, photography, sony world photography awards, Stellenbosch Academy of Design and Photography on March 22, 2018 by stellenboschacademy. When you release a really important shoe, like Nike’s new Vapormax, you need to do it with a bang. And this package design from Hovercraft Studio is nothing short of exactly what is needed! From the iridescent finish on the card, the crazy shape of the box to the way it opens – this is exactly the kind of packaging experience you want someone to have that really sticks with them. It is these small moments that when added up can really change the way someone feels about a brand. Everything matters! This is such a spot on piece of design work! Check it out below. This entry was posted in Design and tagged Design, Hovercraft Studio, Nike, Shoebox, Vapormax on March 21, 2018 by stellenboschacademy.